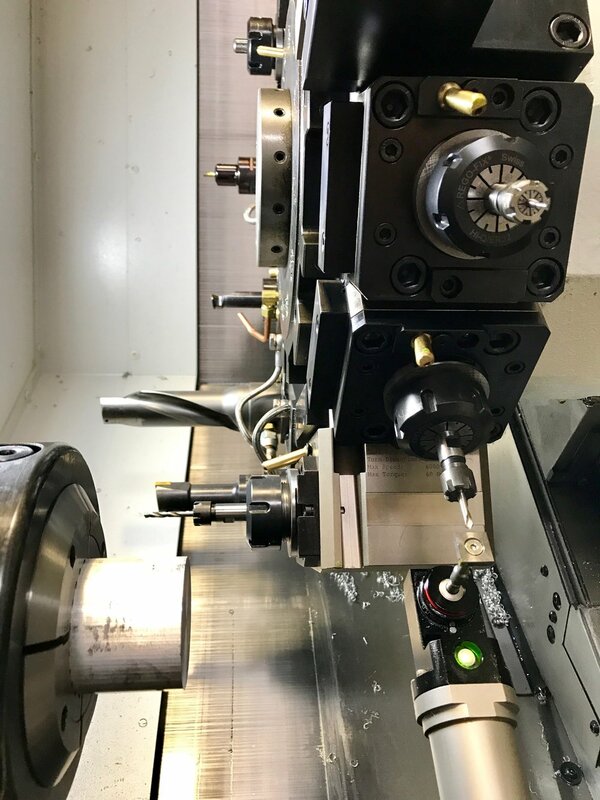 TURNING/LATHE — Campbell Engineering Inc.
To truly be a "One-Stop-Shop" for our customers, Campbell Engineering provides in-house CNC turning/lathe services as well. 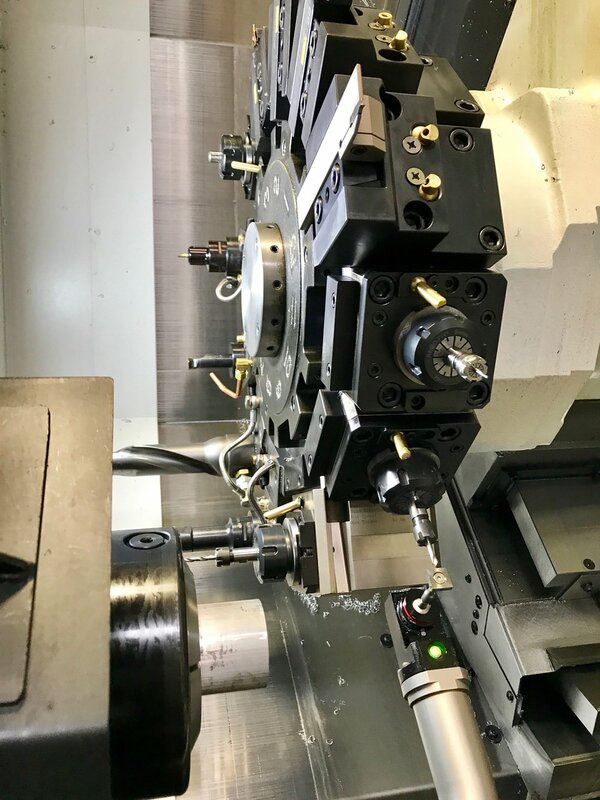 The GENOS L300 CNC horizontal lathe is an extremely versatile machine, outfitted with LIVE TOOLING and optional bar feeder to keep the machine running unattended. 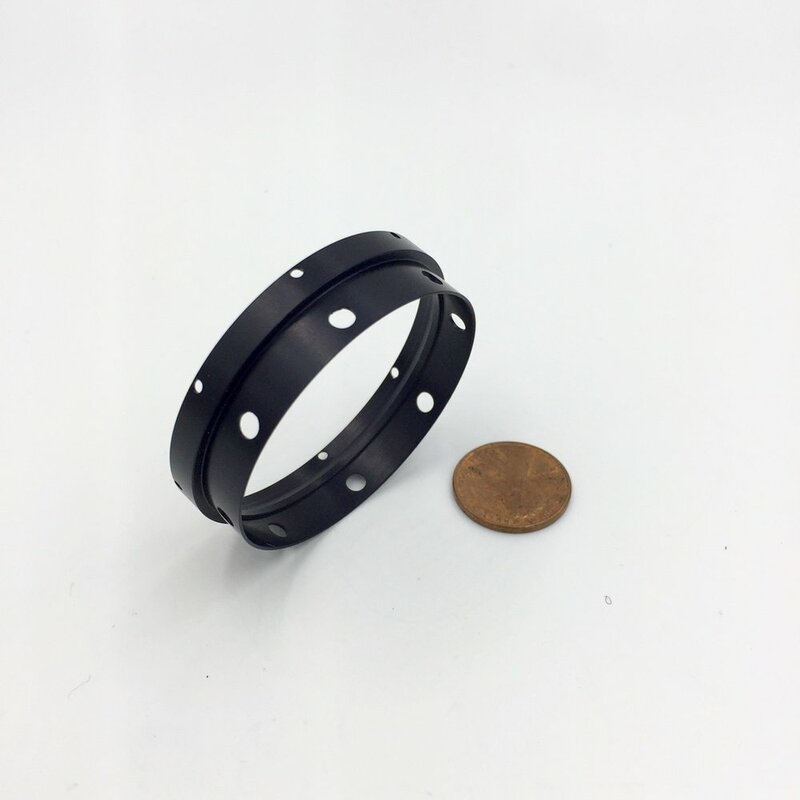 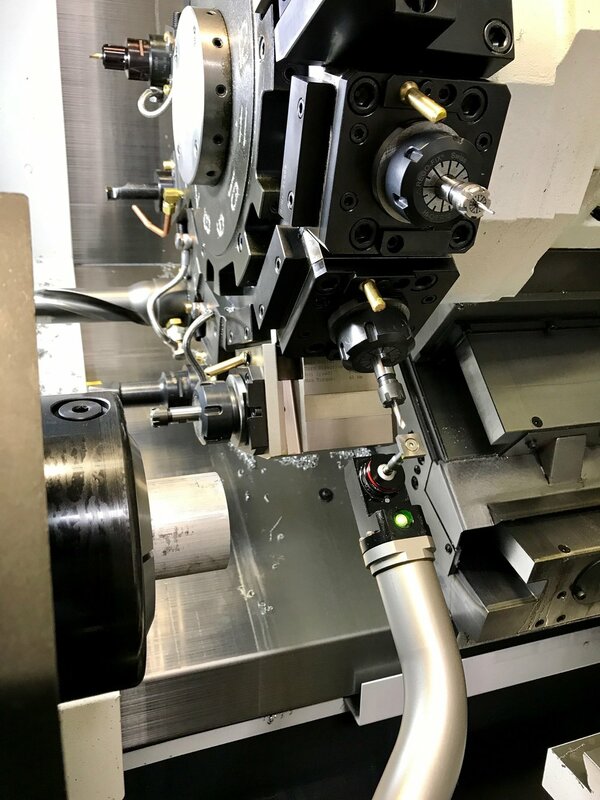 The live tooling feature allows us to turn and mill in a single operation thus reducing setup time and overall cost, as well as improving part quality, capacity and lead time. 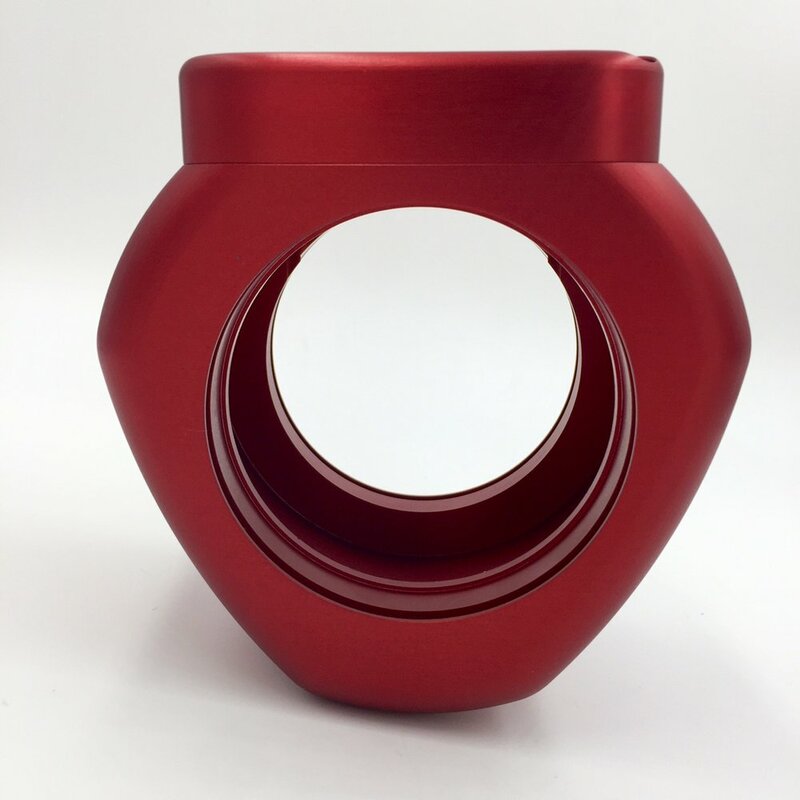 A great addition to our arsenal of shop equipment!